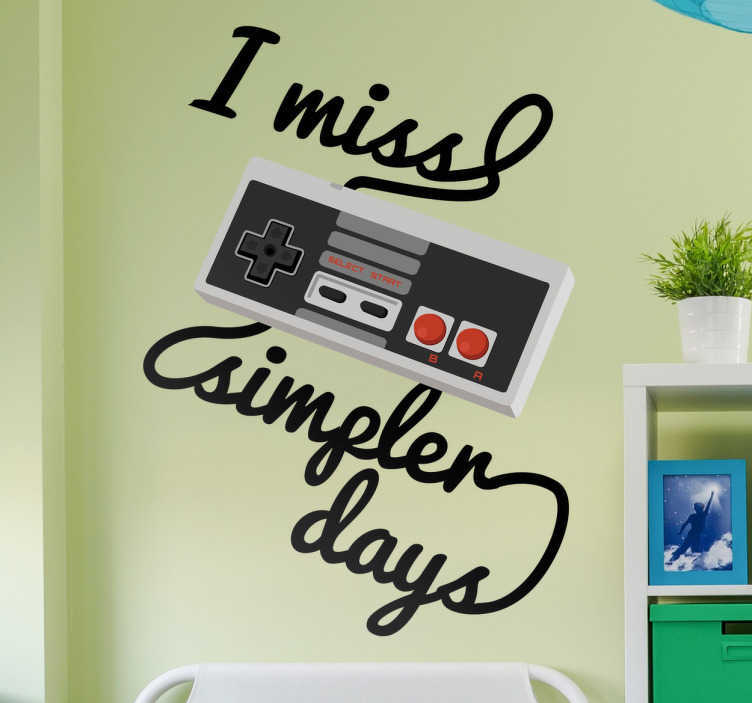 Gaming Sticker with the text I miss simpler days with above a vintage gaming console. With the different platforms, thousands of games that are released each year, it’s not surprising that many people look back with nostalgia at the way the gaming industry used to create games. Are you an old school gamer who still prefers to play all the classic games? This removable wall sticker is perfect for your home.